Readers, we’re back from our vacation (you might have caught my last post on Bangkok) and we’ve been off on a staycation this week. The lovely folks from the Elphinstone Hotel in Biggar invited me along for an overnight stay to experience the local hospitality and food at “The Elph” as it’s known locally. This was my first trip to Biggar. Mr WhatClaireDid and I decided to make a weekend of it, driving down on the Saturday afternoon. We arrived around 4pm in Biggar (lesson learnt, it’s a small market town, where pretty much everything closes at 5pm, so if you’re looking for a wander – COME EARLIER). The town’s got some lovely little gift, boutique and interior shops as well as a few cafes, which could pass a couple of hours on a decent day. The rain was on and off on our drive down, but it cleared up about 5pm and we headed off for a walk around the area. 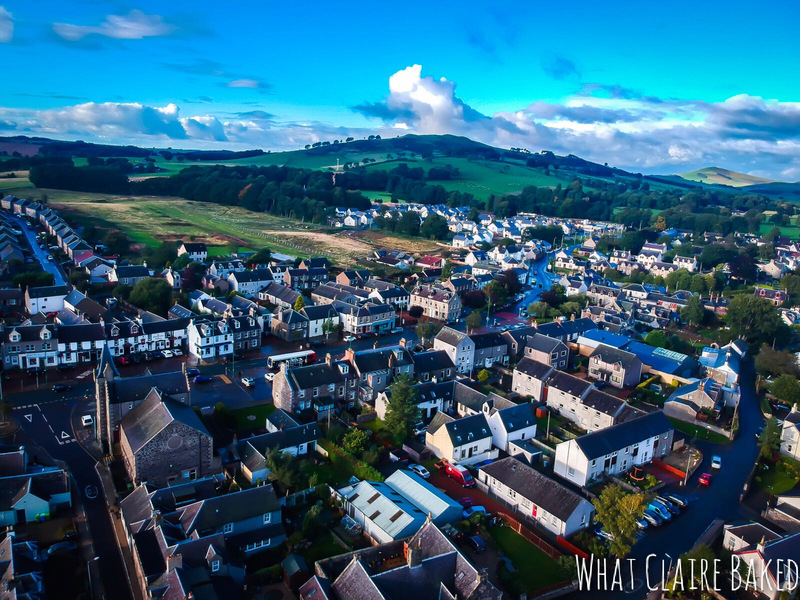 We took our little drone Busby (Instagram) and managed to get some lovely aerial photos of the town. The Elphinstone is a traditional coaching in with 11 bedrooms. It serves food over lunch and dinner – mainly traditional pub grub – although it’s home-made (not a microwave job!) 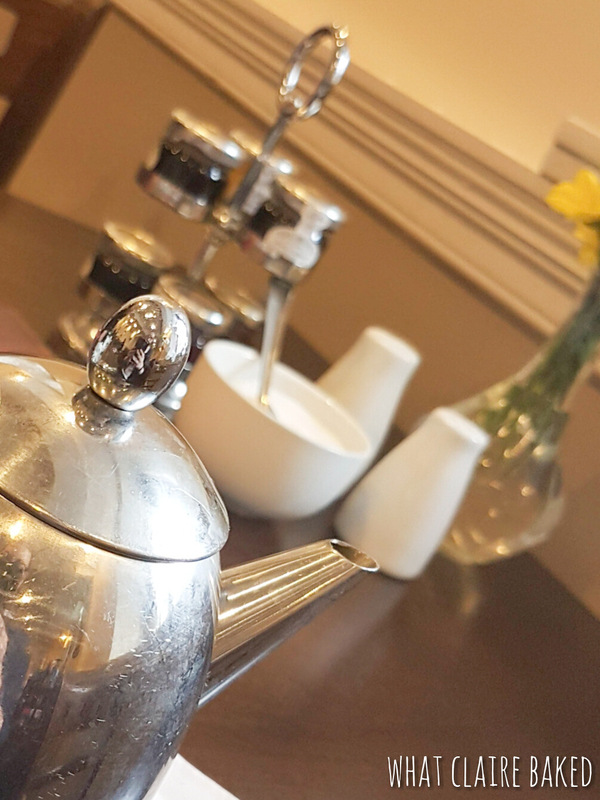 The menu is fairly extensive and we were delighted to be able to have dinner and breakfast during our stay. On arrival we had a few issues trying to work out which door to go in… take note it’s the left one and there’s not a reception desk – check in is at the small bar. You’ll find a bell on the left if nobody is around. 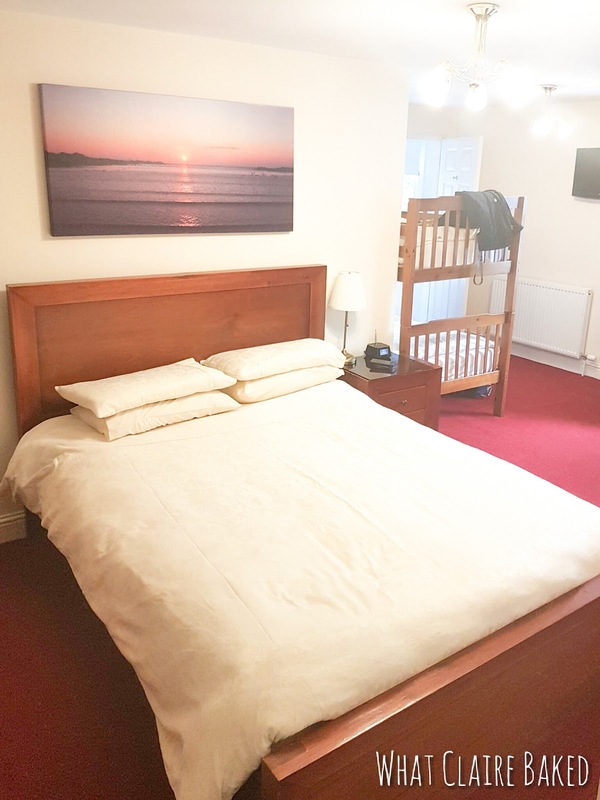 We were given a big spacious room at the back of the hotel that’s also suitable for a family – with bunk beds (and a second tv for any kids – saves fighting!) We had a fairly modern en suite bathroom and the room was decorated neutrally. The hotel would be a great stop off point for a couple or family attending a wedding or event nearby – it’s affordable and has parking right outside the front door, if you have the car with you. Our room was quiet, apart from a little noise from the singer downstairs in the bar which was to be expected on a Saturday night. It didn’t bother us nor keep us up late. “The Elph” clearly has a well established fan base locally – we dined in the restaurant at 7.30pm on the Saturday and it was really busy with a mix of small groups celebrating as well as couples. 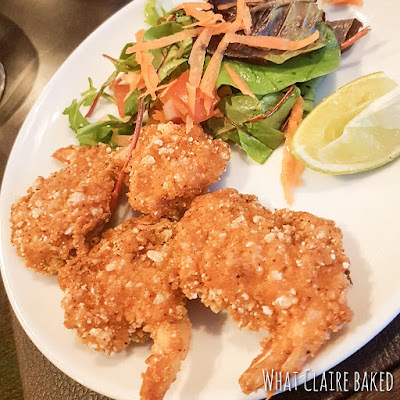 The restaurant attracts an older crowd – we assumed mostly locals and was probably reflected by the population of Biggar. Both of us enjoyed our meal. The menu was extensive and had a wide range to suit all ages. I went for the chilli and mango battered prawns to start which were really tasty and Mr WhatClaireDid tried the deep fried brie. Service to our table was quick, even on a busy evening. Special mention to the young staff who were incredibly busy and apologetic for the things they didn’t know… please don’t worry, we’ve all had a first job! For mains we both went for traditional pub grub – Mr WhatClaireBaked always uses a lasagne as a benchmark for how good somewhere is – his arrived hot, melty and cheesy from the oven and it was wolfed down. 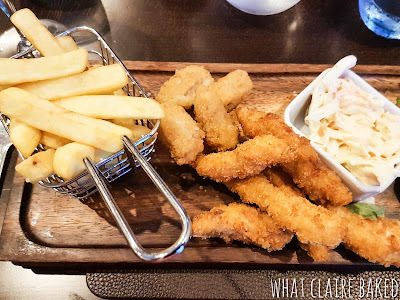 I had the scampi and chicken combo with chips and salad. The highlight though has to go to the desserts – the sundaes at £4.95. We’d been tipped off that these were brilliant and so much so we ordered one each. Mr WhatClaireDid had the banoffee one, whilst I had the Malteser Sundae… which was brilliant. Portion sizes are hefty here, make sure you come hungry. We did pop into the bar next door briefly, however, it was busy with locals and we decided to go out and explore instead – stopping for one drink at The Crown down the road. I feel I need to give it a mention here. As a gin drinker, they had an impressive range of craft gins from across Scotland and the botanicals to go with them. My type of pub! We didn’t stay late, enjoying one drink before heading back to our big comfy bed. Breakfast was served the next morning in the restaurant. 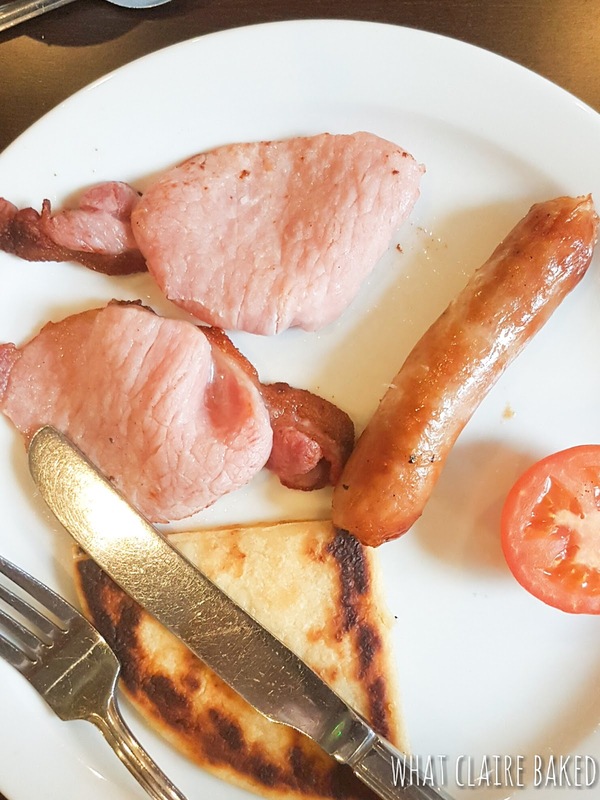 We went down around 9am as it was a Sunday and enjoyed a full cooked breakfast made to order, before checking out and heading back to city life! 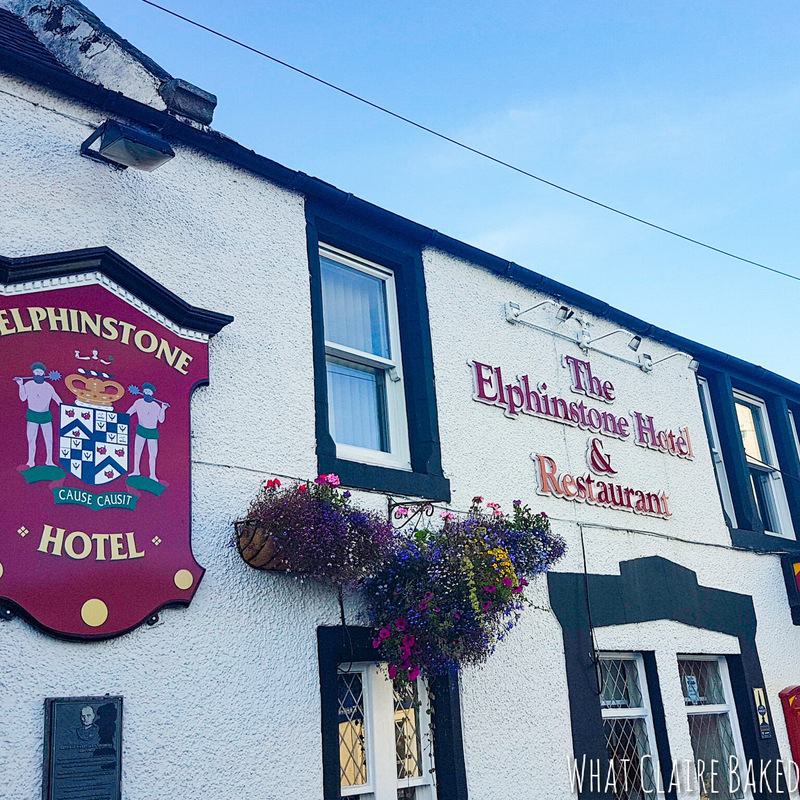 The Elphinstone is located at 145 High Street, Biggar and has car parking outside for those driving to the area. Rates start from £65 B&B. Dinner for two (3 courses and an alcoholic drink each) around £50-£60. For more information visit The Elphinstone’s website or follow them on Facebook and Twitter. Disclaimer: I was invited along to review the hotel. Any opinions expressed are my own.